Colours have a pivotal role in our life. We gravitate towards a colour from choosing our clothing to the colour of the car we drive to choosing paint colours of our dream home. We express ourselves through colour. So, it is fine to be demanding and particular in choosing your interior wall paint colour. 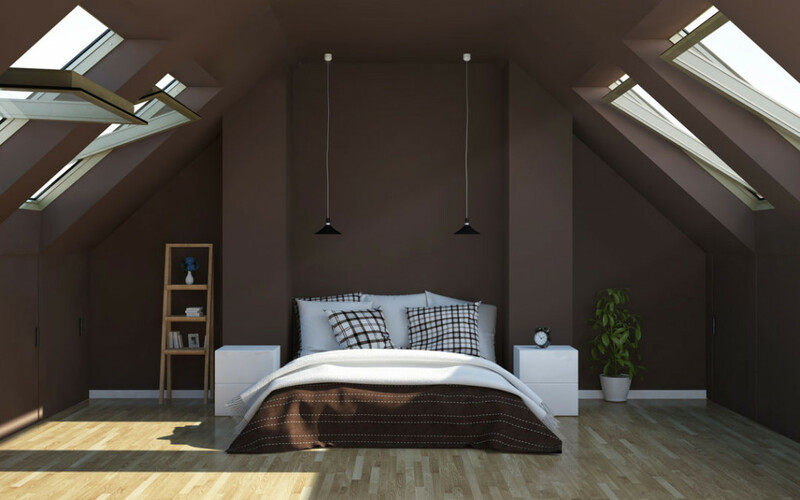 The paint colours you choose revamp the look of your home. Colour can make or break a space depending on the combinations you prefer. 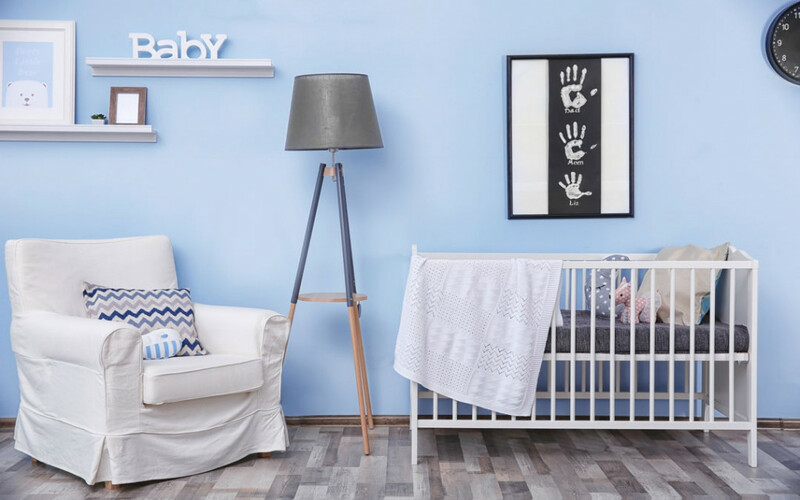 The colour combination you choose for interior walls has a profound influence on your family. We want the best colour combination for our home interiors. 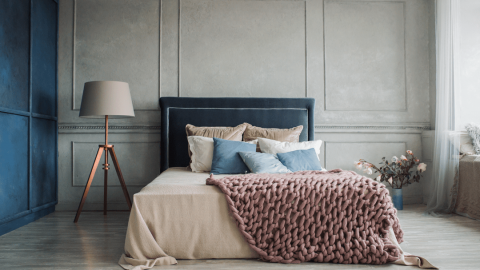 Let’s check the 10 best interior wall colour combinations that you should try in 2019 for your home. Pink, mauve and baby blue, lacking strong shade are called as pastel colours. The pastel colours blend well together. Using pastel colours in your interior wall paints will give a distinct look and feel to your home. These colours flaunt a soft, neutral and soothing nature in your home. 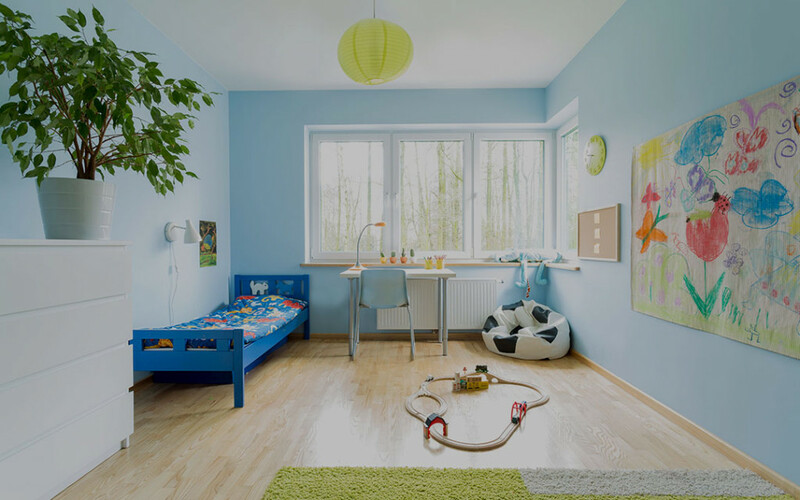 It is the best home painting colour combination for your children’s room. 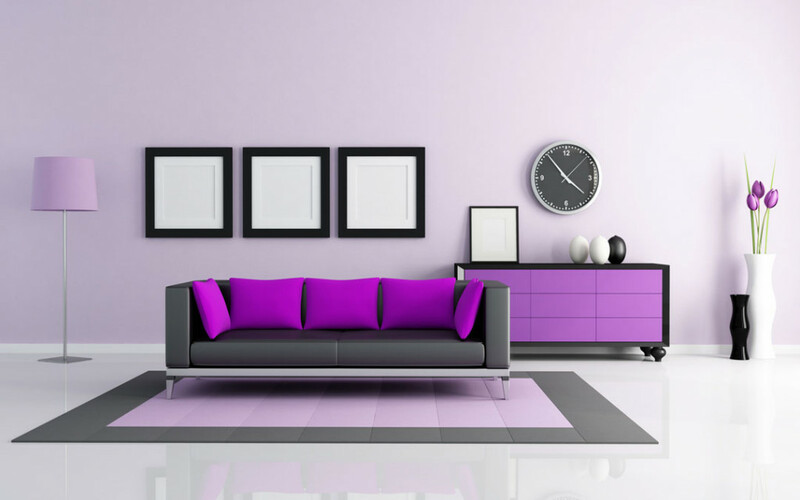 Purple mixed with grey makes your home interior look more dignified and sophisticated. The outward nature of purple rightly blended with a neutral grey will come across as a distinguished wall paint colour combination. This combination in your living room, speaks volume about your exquisite taste. This colour combination will be a new trend that everyone will love. Soft pink and turquoise shade is a bold colour combination for your home interiors. The combination renders a bright and lustrous look to your home; the exuberant nature of pink and turquoise makes it the good choice for your daughter’s room. It is one of the versatile colour combinations for walls, as it works well with a number of design styles in your home interiors. This unique colour combination on your interior walls infuses vibrant and playful energy. These colours surround you with a joyful and enthusiastic vibe that can change the nature of a dull room. This colour illuminates even a lightless space in your home. This playful and bright colour combination in your home entrance makes it appealing to your visitors. Aqua and grape are one of the best colour combinations for your home. Blue and yellow makes an electric pairing. 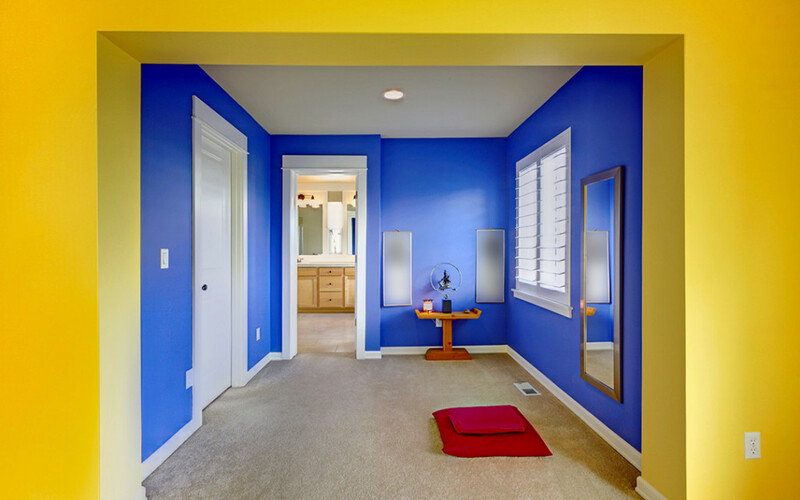 The mix of vivid blue and warm yellow makes your interiors look more exciting, and dynamic. 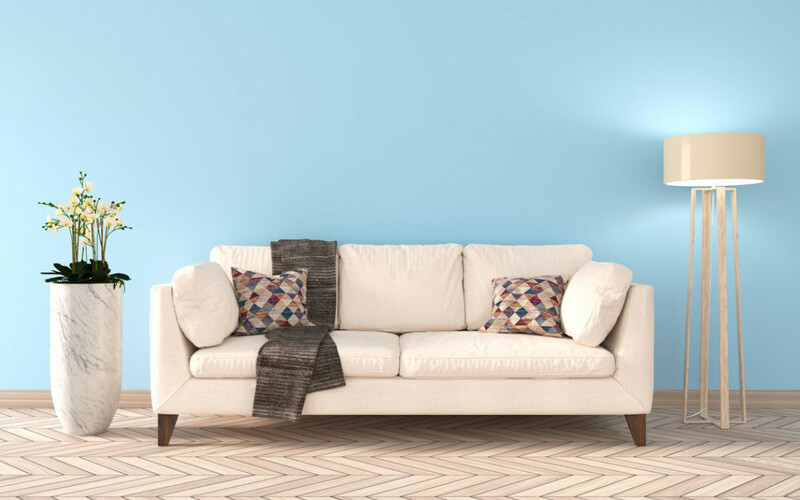 Dramatic blue walls get a splash of contrast from the yellow and mellow the mood of your home. This dynamic combination is most suited for your study room, as yellow enhances memory. The impact these colours can create in your home makes it the most preferred interior wall paints. Orange is the colour of laughter and celebration. Orange mixed with white creates the perfect ambience for a happy family. Orange dominates the scheme and unifies several spaces in your home. 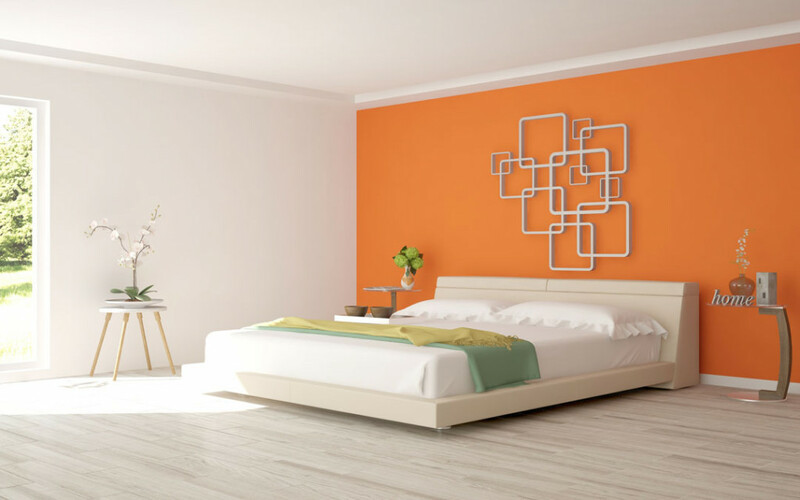 The purity of white and the cheerfulness of orange in your bedroom making it the best choice for your bedroom. This is one of the fascinating interior wall paint colour combinations. 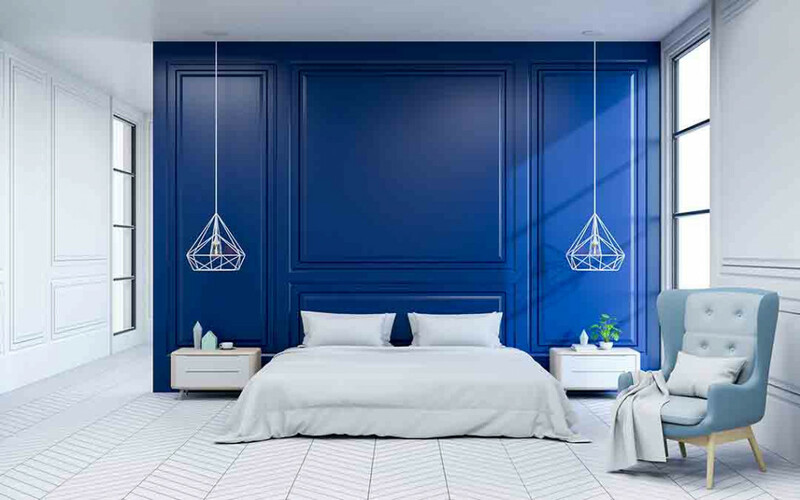 With blue taking centre stage and accents of white, this colour combination is the most minimalistic interior wall paint colour combination. This colour combination adds a lot of perspective to your home and it makes your interiors look clean and elegant. This combination also makes your room look spacious and stimulates your appetite, making it the obvious choice for your kitchen. 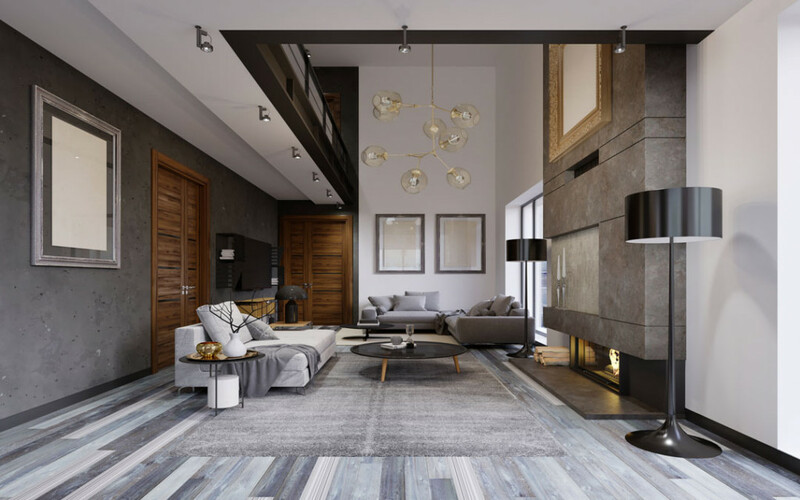 Although a monochrome palette, Shades of grey builds texture in your home. 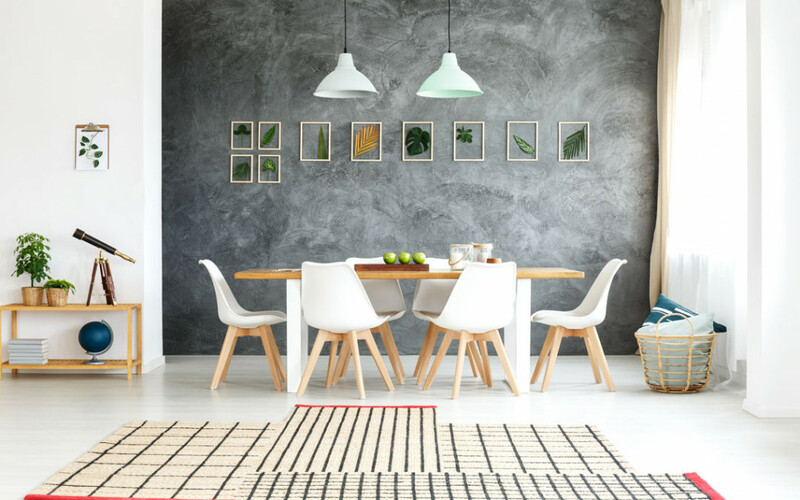 Grey being a neutral colour will give a pleasant and placid feel to your interiors. The shades of grey in your interior walls, add a classy and majestic look to your home. This makes grey the best two colour combination for bedroom walls. The combination of aqua and cream spreads a cool and breezy mood in your home. The combination reminds the people in the room about the beach, with aqua reflecting the sea and the dull cream representing the sand. This combination on your interior walls will create a relaxed and peaceful ambience. So, this is a go-to interior wall colour combination for beach houses and guesthouses. We always tend to feel calm and collective while sitting in a park. It is the trees that ease our mood, making us feel fresh and calm. 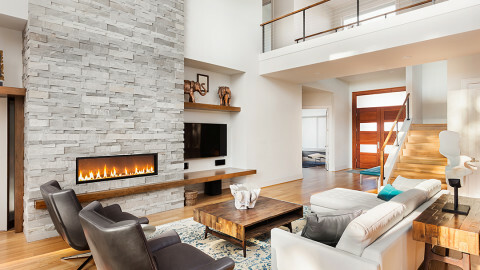 The same can be applied to the combination of earthy brown and green in your interior walls. This combination makes you feel fresh, and append a natural ambience to your home. We would love to know which of the above combination you would like to have in your interiors.